1. What is Hair Extensions? Hair extensions are a means of adding additional hair to your natural hair. Hair extensions come in various colors and styles enabling you to have a custom look anytime. 2. Why do people have hair extensions? Hair extensions are applied to enhance the appearance of your natural hair. They can be used to add any combination of length, thickness and body, and colour. 3. How long does my natural hair need to be? This very much depends on your own hair type but ideally your own hair should be a minimum of 10cms long. 4. Can anybody have hair extensions applied? There are some scalp conditions which are unfortunately not compatible with hair extensions e.g. psoriasis, eczema, etc. However, the severity of these conditions can vary greatly from individual to individual and can be assessed at your consultation. 5. What kind of hair do you supply? 6. What kind of color hair do you supply? 7. HOW TO PLACE ORDER? 1. Do you use Remy hair? 2. What about your Wefted hair extensions (Weave hair)? Wefted Hair Extensions are simply a curtain of hair used to layer in to your own hair to add color, length and or volume. There are several application methods to choose from to apply the wefts. Vietnam Remy Hair company provides only superior quality 100% Remy Hair in a multitude of colors to blend with your own hair. Hair Extensions Wefts are machine sewn straight, wavy or curly and are available in 6" to 40" lengths. 3. What is diferrence between Single drawn, Double drawn, Super double drawn? 4. What about your Lace Clousre? The ear to ear lace closure meaning that the individual strands of hair are attached to a lace base. It does give a natural look. You can get a natural look with lace.Many customers prefer lace closures. Closures are typically 4"x4" but can come in slightly smaller or larger sizes such as 5"x5", 6"x4", 7"x4". 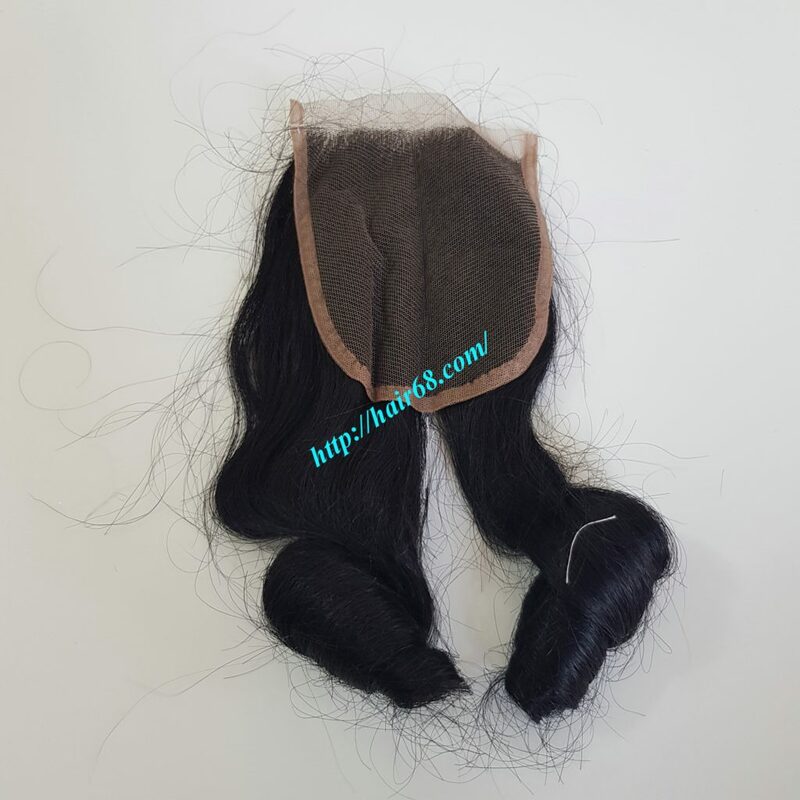 Vietnam Remy Hair Company have best quality lace closure: Free part, Middle part and Three part closure. 5. What about your Lace Frontal? Lace Frontal Closure is a half wig which goes from ear to ear and the size is 13” across and 4” back but can come in larger sizes 13" x 6" . Frontals are also really popular with women who have traction alopecia or thinning edges. Our Lace Frontal made from Vietnam Hair and complete with baby hairs and a natural part. Lace are used with Swiss lace with dark brown lace or light brown lace. 6. 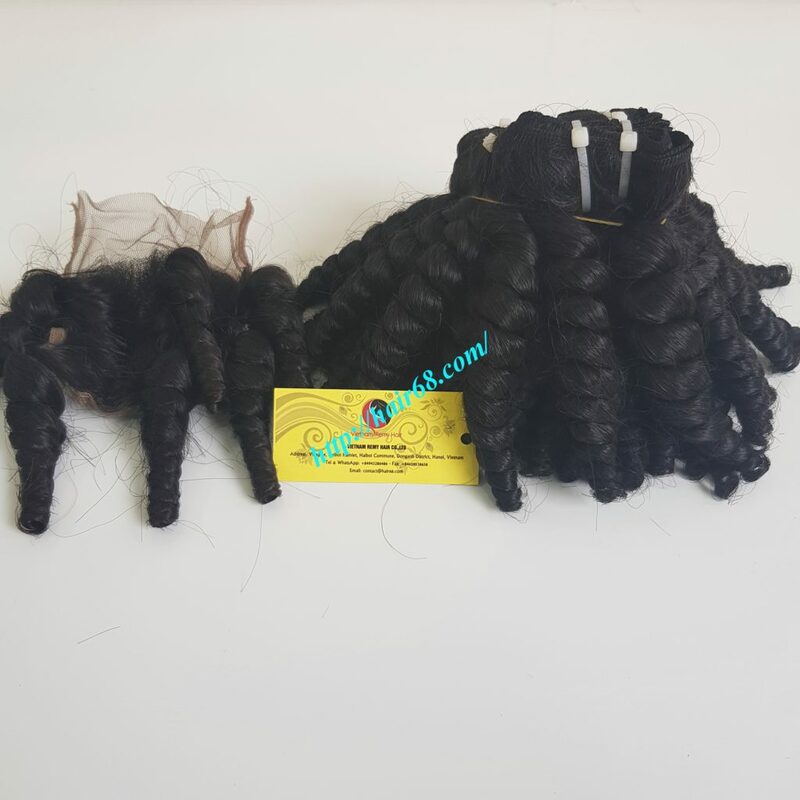 Lace Frontal Vs Lace Closure, How To Choose? In fact,it depends on your style of choice, a lace frontal may be more appealing than a closure or vice versa. If you like to pull your hair back then a lace frontal will be best for you. If you simply want to close your install with a natural looking scalp then a lace closure will be the best solution for you. 7. Could I chose wefted hair extensions? 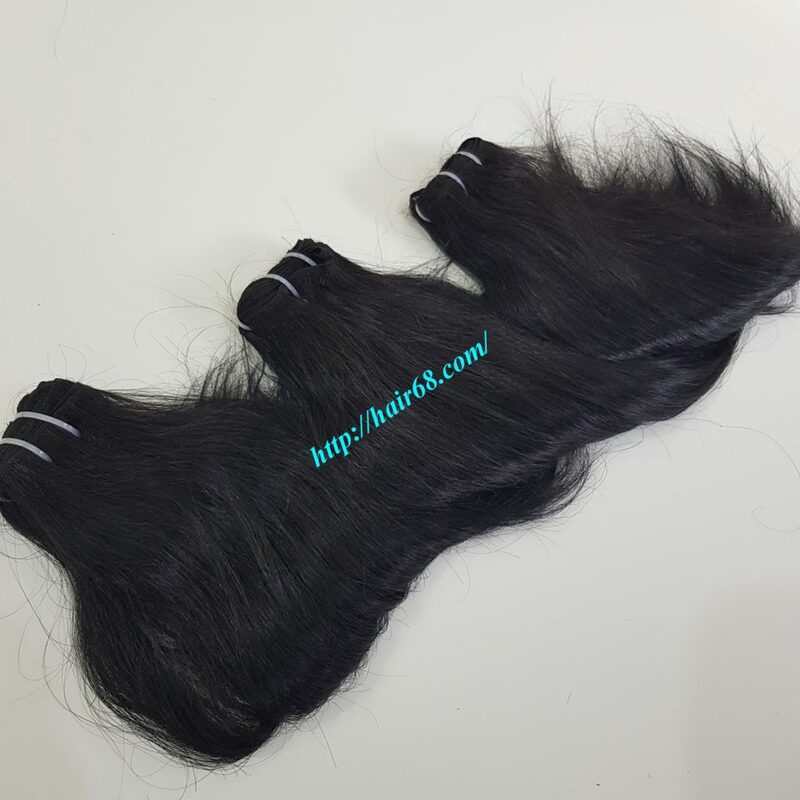 Wefted Hair Extensions can be applied using various professional or Do-It-Yourself application methods such as sew-in, weaving, bonding, tape-in, or clip-in. With proper care, Wefted Hair Extensions can be used over and over and are an affordable way to achieve endless styling possibilities. Try wrapping Wefted Hair Extensions around your own ponytail to create the illusion of a longer, fuller ponytail or add overall length, volume and color. Use Wefted Hair Extensions of Vietnam Remy Hair Company are a perfect solution to achieve sought after red carpet celebrity hairstyles! 1. Can I wash the hair? 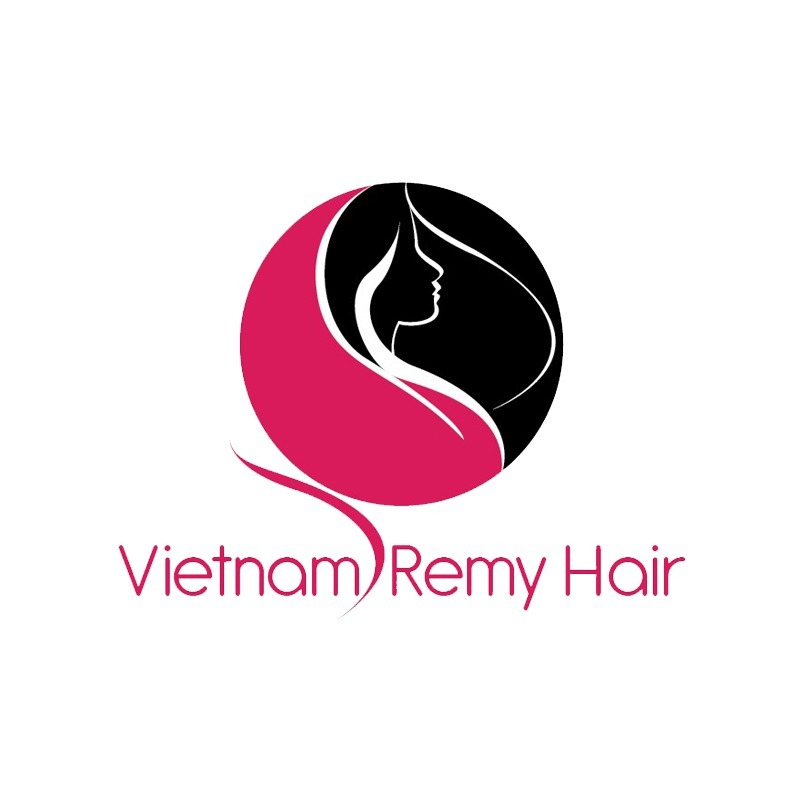 At Vietnam Remy Hair company we only use 100% natural human hair, so you can wash and style your hair extensions just as you would your own hair. To prevent your bonds from softening it is important that your hair is kept clean and grease free, so regular washing is essential. New hair extensions should not be washed within 24hrs of being applied. 2. Can I use heated styling appliances on my hair? Yes, you can use hairdryers, straighteners, wands, etc., just like you would on your own hair but please bear in mind the longevity and quality of the hair will reduce dramatically if excessive heat is applied. Putting direct heat on the bonds will cause them to melt so it is important to avoid catching them on straighteners, wands, tongs, etc. 3. Can I colour my hair? Yes, but the bonds and extension hair must be avoided. We recommend colouring your own hair shortly before having your hair extensions applied. Then, by the time your roots need retouching there will be enough space for your colour technician to confidently touch up your regrowth without applying colour to your hair extensions. 4. Can I colour my hair extensions? Yes you can colour your hair extensions up to #613 but this process should definitely not be abused. If you plan to change the colour of your hair we recommend bring it to Salon, Hair stylist will help you or they will give you the best advice to colour effectively. We do not recommend colouring any hair extensions as the extension hair may not develop at the same rate as your natural hair, leaving you with uneven colour. 5. Can I let my hair extensions dry naturally? Yes, we only use natural Vietnam Human Hair so there isn’t much that you can’t do to your hair extensions that you couldn’t do to your natural hair. However, the bonds must be dried off immediately after washing as leaving them wet/damp for prolonged periods can start to break them down. 6. Can I use dry shampoo when wearing hair extensions? To get the most from your hair extensions, they need to be kept clean and oil free. We recommend regular washing rather than using dry shampoo. 7. Do I need to use special products to care for my hair extensions? To keep your hair extensions in good condition your hair extensions must be washed with an oil and alcohol free shampoo. A good quality, protein free conditioner and a moisturising oil should be used on the ends of the hair to prevent it from drying out. If you regularly use heated styling tools we strongly recommend you use an oil free, heat protection product. 8. How much hair do I need? Each person is different depending on how thick the hair is wanted, where it is being placed, head size, how it is being applied, styled or cut etc. So We suggest you to use 3 - 4 bundles with 1 piece Lace Closure or 3 bundles with 1 piece Lace Frontal for make a full head. 1. Can I swim with hair extensions? Yes, but you should avoid getting the hair wet as prolonged exposure to water/dampness will cause your bonds to soften, often resulting in excessive shedding of the extension hair. For best results wash and dry your hair immediately after swimming. 2. And sleeping with hair extensions? 3. How long does my hair extensions last? This varies greatly from one individual to the next and depends on your natural hair, which type of hair you choose to apply and how you take care it. Usually if you take care it carefully, the usage time can last up to 3 years. 1. When I have big order, will you discount? Yes, we always have policies for regular and VIP customers. 2. Design Label for my business own? Yes, we will do it free. 3. Can you let low value in the invoice when you ship? Yes, I can let low value in the invoice depend on your need which help you to reduce import tax. 4. Can I pay a part of order? Yes, we accept. To ensure the delivery progress, we are flexible for your payment. You can make a partial prepayment. The rest you pay before we ship. 5. How can i check my order status? Yes, after you placed order we will confirm with you when will it can ship and will also send you a tracking number as soon as it's dispatching.